The damage to a wall or area of a building caused by an infestation of termites can remain undiscovered for a long amount of time where the area is hidden from view, such as beneath a house of in an unused building. Termite colonies take between three and five years to reach maturity and cause major damage due to infestation. 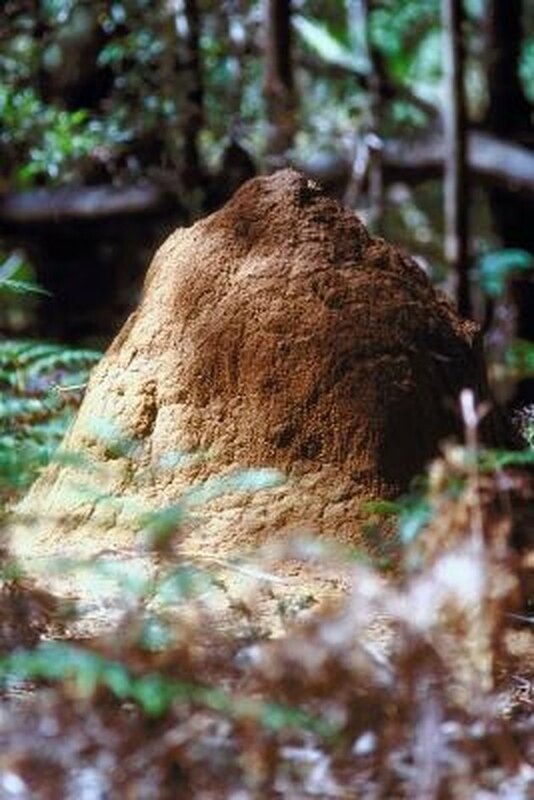 Termites are commonly found in the southern states of the United States. There are a number of species of termites, some of which live underground and others survive in dry wood. Termites survive in social groups centered around a nest and are divided into different groups dependent on the specific type of termite. Each colony of termites has a king and queen that are responsible for producing thousands of eggs each year that become more workers for the colony. Warrior termites are responsible for protecting the nest from intruders, such as ants, while worker termites are white color workers and are responsible for providing food for the rest of the colony. Worker termites cause damage by infesting wood products that contain cellulose for food. Food sources includes wood, paper products and cardboard. There is no accurate way of calculating the exact age of a termite infestation, according to North Carolina State University. If a reference point of a time when an area was not infested can be discovered, the age of an infestation can be estimated. Termite infestations can cause damage over a short period of time; with a colony of around 60,000 termites, colonies can reach around 2 million termites. A 2- by 4-inch piece of lumber can be consumed over a period of about five months. When a colony of termites infests a building, noticeable damage appears between three and eight years, depending on the size of the colony. Termite damage can be diagnosed by observing a number of symptoms, including the hollow sound that is made by a piece of wood when it is tapped with a heavy object, such as a screwdriver. Painted walls can appear to bubble or peel, while damaged areas can be easily probed with a knife or screwdriver. Termites often tunnel through the paper coating of products, such as drywall, leaving small entry holes and faint trace lines of an interior tunnel. Subterranean termites can leave dirt on the wall where their bodies have come into contact with soil. In the United States, around $2 billion is spent annually to protect from and treat termite infestations. A termite colony can become mature in about three to five years, with some species developing winged colony members that produce swarms in an attempt to find fertile feeding grounds.